Welcome to the land of Ourania - a place of beastly magic, history and subterfuge recently marred by war and grief. 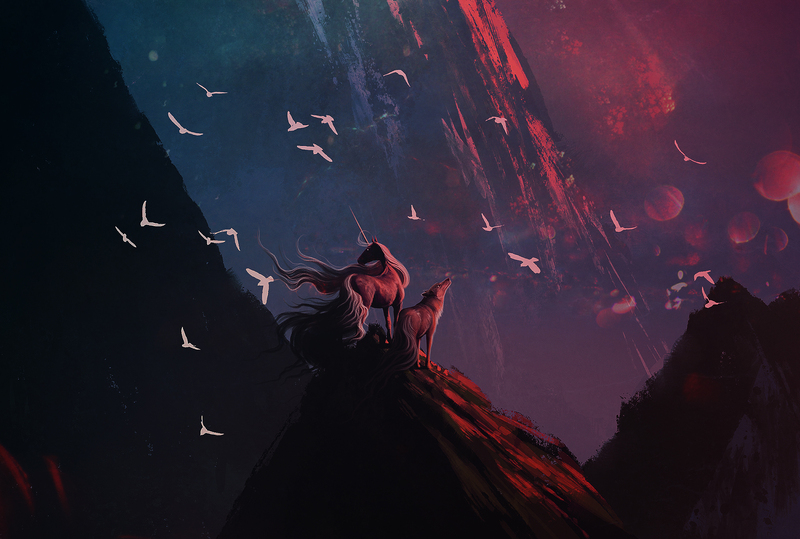 We are a fantasy-driven Canine and Equine play-by-post roleplay game for mature members ages 16 and up, with an emphasis on heavy lore and customizable magics. This compendium is designed to assist in learning all about the site's game mechanics, history, member expectations and more. Before you register an account with us, we urge you to read through the links below over an appropriate period of time in order to get a firm grasp of what we do and how we do it. If at any point in time you have questions, be sure to ask in our Discord. Ourania awaits you! Outer Reaches, Interior Realm and Map Banners found on Unsplash. Beastwreck, Cataclysma, Fortuna, Dagrun, Rune, Rift, Lichen Weir, Eden, Fawnlis, Anemone, Traitor's Coast, Pyre found on Unsplash.